"A contemporary modern lamp with a minimalist style by Michael Anastassiades's. 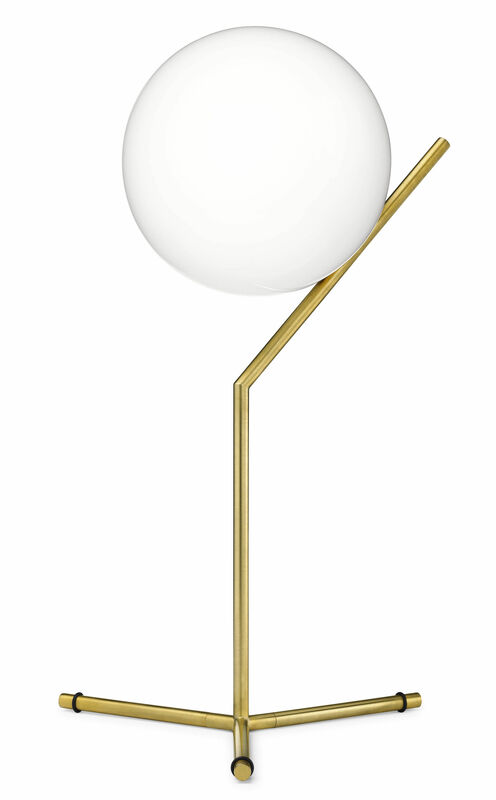 The ""IC Lights"" consists of a range of elegant forms, an opaque globe delicately balanced with a metal stem at near impossible angles. 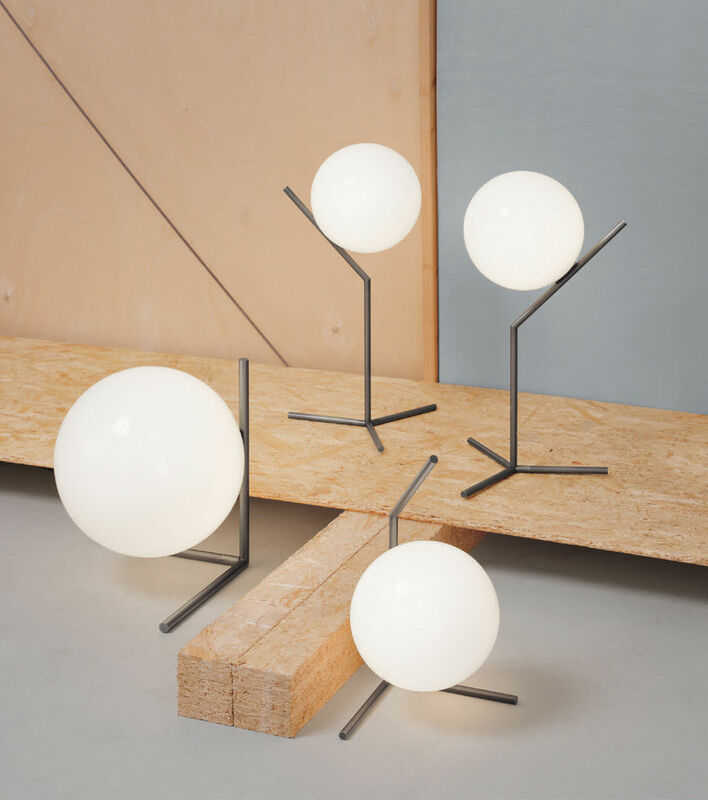 The IC Light was inspired by the mesmerizing movement of a juggler as he effortlessly appears to make a ball move at will and balance at unexpected angles. In addition, the letters IC refer to the identity code used to assess immigrants entering the UK. This element of balance also applies to the lives of these people as they juggle to adjust to a new society and its demands. 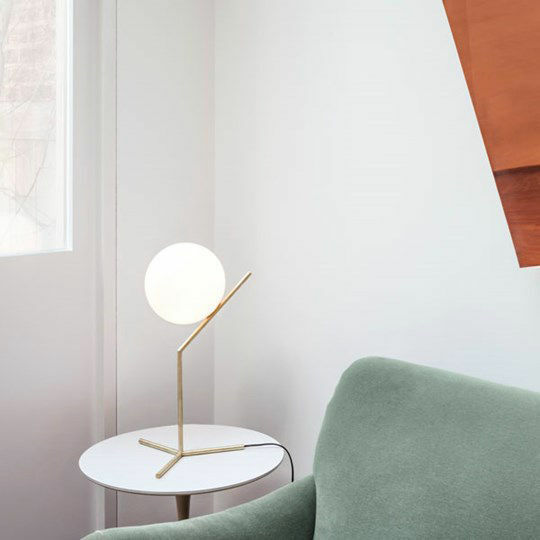 IC by Flos are jewel-like table lights that embody Anastassiades' angular aesthetic. These lamps have a refined and understated elegance. 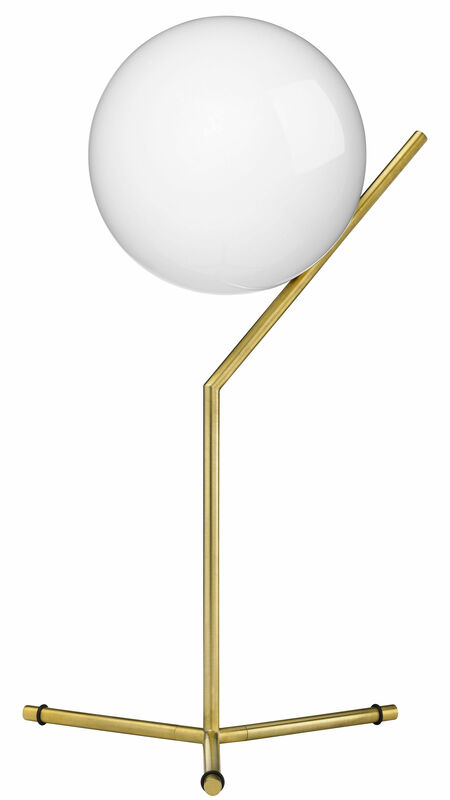 A brilliant fusion of light and balance, Flos lighting's Lights set out to challenge the equilibrium of illumination. IC Lights playfully balance light and simplicity. The appearance appears unstable, as if the opalescent ball may fall from its mouring at any time - but that's exactly what the London-based Cypriot designer was setting out to achieve. 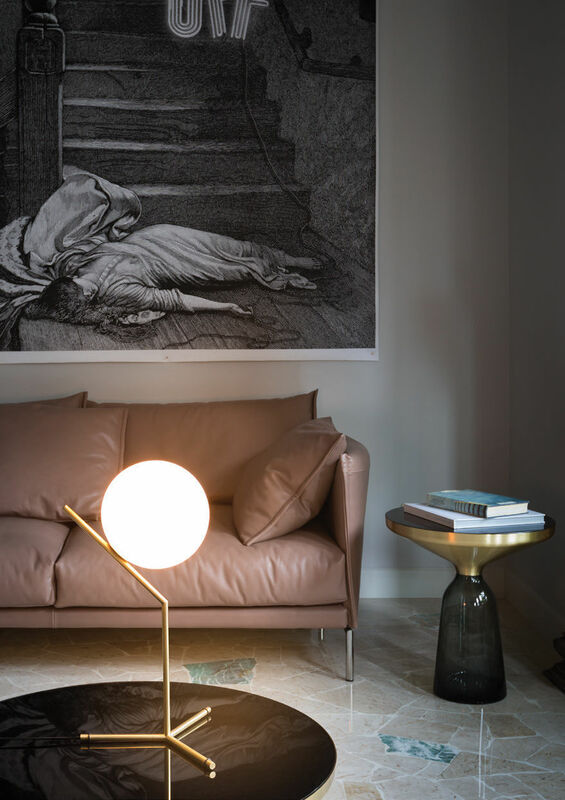 The lights reflect Anastassiades's love of industrial simplicity. He likens the design to a juggling act in which both sphere and baton are skillfully balanced. "